The Toronto Maple Leafs are back for the 2015-2016 season. The Leafs will be playing 41 home games again at the Air Canada Centre, starting with the opening match vs the Ottawa Senators on October 5th, 2015. There were lots of changes throughout the summer, with the addition of star coach Mike Babcock behind the benc. 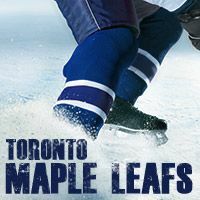 There will be major hope for the Maple Leafs fans this year !